Since April 1st 1971 Norwegian license plates have a two letter prefix code denoting the traffic office where the vehicle was first registered. The registration stays with the vehicle, so if a vehicle is sold to another district or the owner moves the registration remains unchanged. When registering a new vehicle owners may choose any of the letter combinations currently in use throughout the country. style of plate. Nov 1st 2006 plates with a blue band with the Norwegian flag and identification letter N were officially introduced, but the first were seen Oct 25th. Jan 1st 2009 flat plastic plates in an otherwise unchanged format were introduced. Jan 1st 2012 they changed back to aluminium. Since 2013 provisional plates are no longer geographically coded. Since 2015 trade plates are in a new, centrally issued series. Since 2017 four numeral plates are no longer geographically coded. reflective green Light commercial vehicles (e.g. vans and pickup trucks). Yellow on reflective blue Diplomatic vehicles. White on reflective red Dealer/ trade plates. Black on red Provisional plates. White on black Rally plates. Black on amber Military (no prefix letters). Red on amber Military test plates. Used only by FMU = Forsvarsmuseet (Museum of Defence) and T-U = Test og utvikling (Test and Development). 5 - Cars and commercial vehicles. 4 - Trailers, mopeds, motorcycles, agricultural tractors, "motorized equipment", snow scooters. This is the code list. Note that the letters I, M, O, Q, Æ, Ø and Å are not used. but the office there closed and the letters were transferred to Fredrikstad. A new office for both Fredrikstad and Sarpsborg has now opened in Hafslund. 5 digit AE plates are still issued for Sarpsborg, and AS for Fredrikstad. 4 digit plates use a single series. EL, GA and HY are centrally issued for the whole of Norway from Lillestrøm. FF Hammerfest, FJ Sogndal, FK Storslett, FL Tromsø, FN Mysen (4-digit plates), FN Moss (trade plates), FP Trondheim, FR Vadsø. LE and LF were allocated to Vadsø and Setesdal respectively in 2003 and LD to Tønsberg in 2015. However, LD, LE and LF trade plates have been issued by Horten. LY LZ NA NB NC used to be Sandefjord. Now Sandefjord is only listed with LY. The rest are transferred to Larvik. 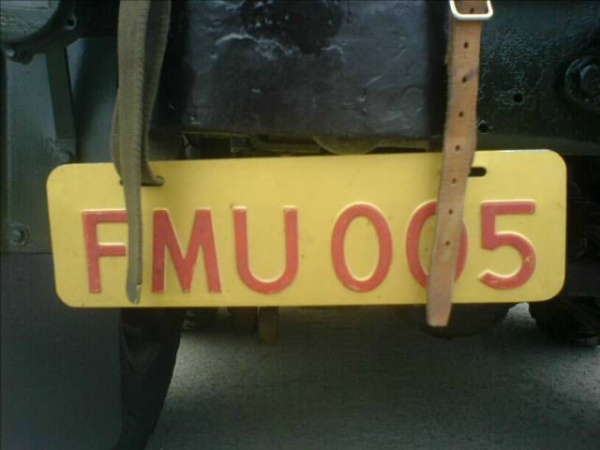 However, trade plates and 4 digit plates had already reached LZ and 4 digit plates are currently using NA. NN NP NR NT NU used to be Porsgrunn. The office there is closed and the letters transferred to Skien. Skien has now exhausted 4 digit NN plates and moved on to NP and NR. NS was the Norwegian Nazi party during the war. The letters are not going to be used. was skipped. LF trade plates were issued by Horten. because the public objected to its use, even 50 years after the war. VU was allocated to Trondheim in 2005 and VV in 2009. FP was used before VU (since 1997), issues commenced from VD. Around 90 5 digit VP plates were issued because of a mistake by the plate manufacturer the autumn of 2001. Støren commenced issues from VT. Some VS plates were issued in 2006. Since 2013 VS is issued by Trondheim for trade plates and 4 digit plates. at which time XK was issued from 10000. FD was allocated to Bodø in 2004. ZD was allocated to Finnsnes in 1992, issues commenced from ZF. A handful of 5 digit ZD plates were issued in November 2001, probably by mistake. ZC (1992) and FL (1997) have been allocated to Tromsø, issues commenced from ZE. FL will only be used for trade plates. FC allocated to Tromsø in 2009. FR was allocated to Vadsø in 1989, issues commenced from ZP. LE was allocated to Vadsø in 2003, although Horten had already issued trade plates with LE. These plates are issued by the Police. The first numeral denotes the town. The vast majority are issued by Oslo.